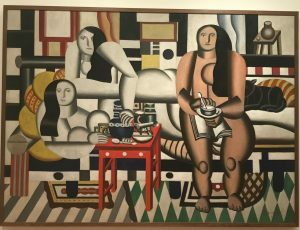 Painting from the Moma. 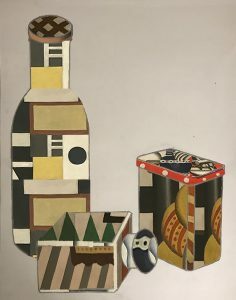 Three women by Fernand Léger, 1921, Oil paint. I used three things to work at home; My perfume, pepper shaker, water bottle. 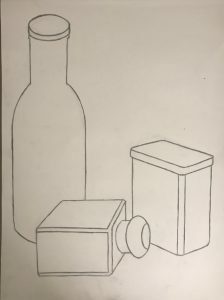 When drawing the line, I tried to line up the objects as neat as possible and fit the composition. I worried that the line would be emphasized because there is no shadow. It was a difficult part to compose and to draw the line straight. In order to translate to Photoshop, I trace the line of my line drawing. And I started to make a palette by choosing “Three women”, one of the works I photographed at Moama. 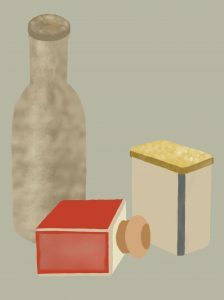 I made the rectangular on the palette, picked the colors using the Eyedropper tool, and filled the rectangular with the colors drawn from the three works by the paint tool. The most difficult part of picking the color was that various colors were not used in “Three women”. 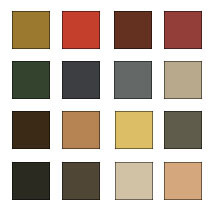 It was not easy to pick out multiple colors from a picture of the similar color. In collage, I wanted to show a complex and varied pattern. 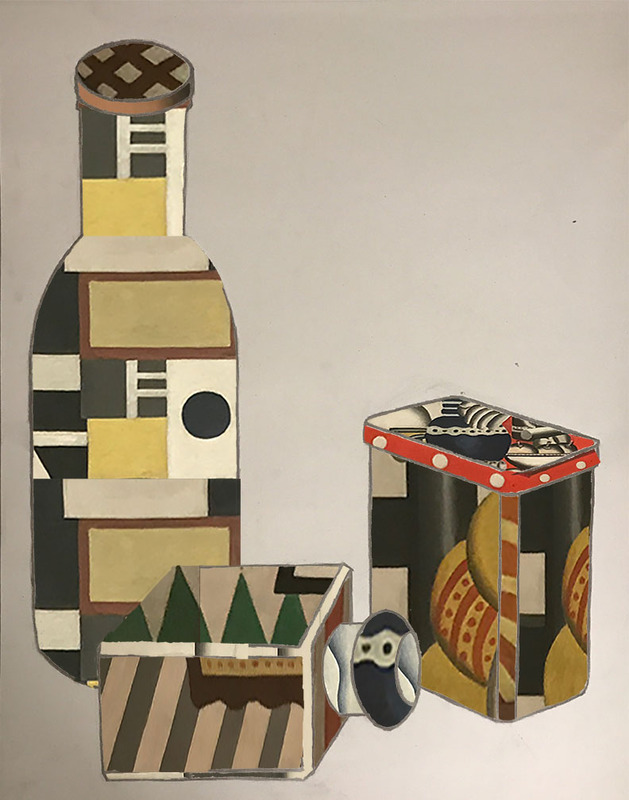 In “Three women,” I cut out parts of objects and objects, people and objects, and made them look like patterns, and pasted them into my line drawing with a layer mask. After that, I wondered how harmonization patterns would be put together. Also, in fill and brush composition, I was concerned with the texture using the brush to avoid monotony in the case of coloring. 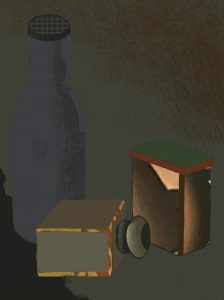 And although the combination is dark to look at, I used a brush to give the texture to the background and shadow to the object. Then I collaged the piece with a light tone and gave it a brighter whole tone and a point. My most favorite composition is collage because I think that color and pattern are disturbed but harmonious. However, the fill and brush is too simple and combination composition is too dark.